Buzzword Blog West Nile virus human cases reported, mosquitoes are active! Mosquitoes are known as being pesky and annoying. 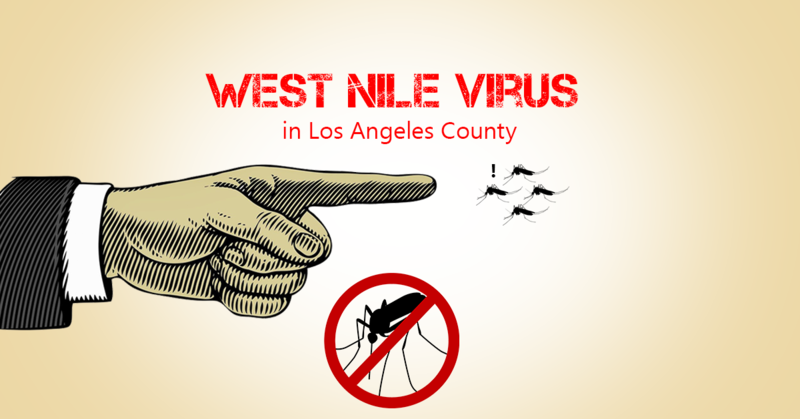 However, based on reports by Los Angeles County Department of Public Health, those bloodsuckers can also be giving people West Nile virus. In their latest report on 8/18/17, there have been 27 human cases so far this year, with 23 of the people hospitalized. Here’s the “hidden” fact about West Nile: Only 1 in 5 people will actually show symptoms. This means the numbers reported are just the tip of the iceberg of total cases. Here are vector control, we’re seeing very active virus activity. Most of the concern is in the San Fernando Valley, however, the virus has been detected in almost every city in our District. Well, no need to panic. But it is key to stay informed. What happens if you’re STILL experiencing mosquito problems, even after dumping water? You can always contact us. Our services are covered by ad valorem property taxes of only $8.97 a year. Use us!